I haven't seen any caracter form this classicla game, this is my favorite, and I hope you like it, is very simple and i'll try to improve. dudes nnice you cant mess with him. this has inpiring in training hadoken is based in concetration of your central force source of energy the same energy that keep us alive call ki o chi for this training physicaly and mentaly shpuld be necesary, and you do one move special or not over and over again before you really strike it to sonmeone. Excellent Ryu wallpaper! I Especially like the colours you used, and I also like the way its laid out so well. Good Work! Hope more will come! Very nice wallpaper. The background goes very well with the pictures. 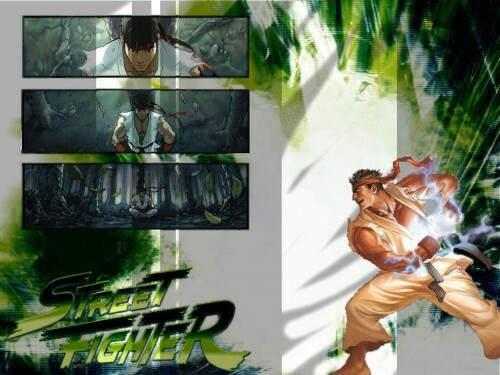 muinto boua imagem pricipalmente estes pequenos quadros do ryu !